Poverty robs children of their basic rights—to an education, healthcare, self-belief and hope for their future. 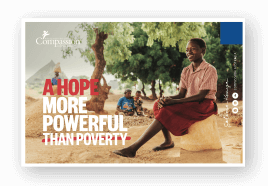 But more powerful than the lies of poverty are the hope of Jesus, the care of their local church and the encouragement of a sponsor. 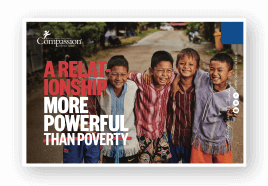 Compassion Sunday is an opportunity for you and your church to find sponsors for children and give a hope more powerful than poverty. If public speaking isn’t your thing, don’t worry, we’ve got you covered! Who better to speak to the life-changing difference of sponsorship than those who benefit from the generosity of supporters like you? You won’t be able to wipe the massive grin off your face as you help to change the lives of children. Before you register your event, make sure you chat to your pastor about holding Compassion Sunday at your church. Once you have their permission, register below. We’ll send you the things you need to make your event a success! Date of Event What date's your Compassion Sunday? Do you have good internet and mobile coverage at your church? Sponsoring a child is now done online using supporters’ mobile phones so it’s important that you have good coverage. If you don’t that’s okay, we just need to know so we can equip you differently! Choose a tagline which best suits your presentation. The resources you receive will include the tagline you select. How would you like to receive your resources? 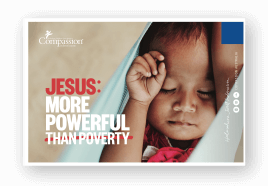 If you require further assistance, please contact us at compassionsunday@compassion.com.au or call 1300 22 44 53. Thank you for hosting Compassion Sunday in your church. We think you are amazing! 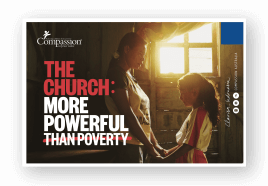 While we have you here, it’s the perfect time to download your Compassion Sunday resources to kick off your planning. If now isn’t a great time, don’t worry! You’ll soon receive an email confirming your event with a link to this page. In order to make life a little easier, we recommend sharing one of the following videos during your presentation. Who better to speak to the life-changing difference of sponsorship than those who benefit from the generosity of supporters like you? Do I have to make a presentation? 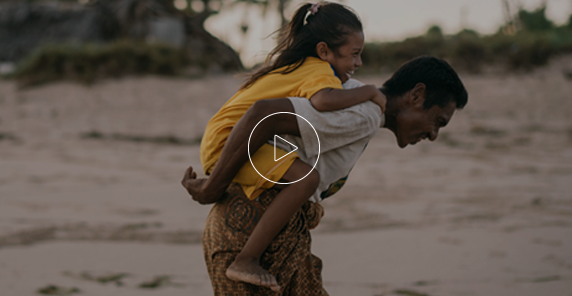 If public speaking isn’t your thing, you can let the video do the talking for you and ask your church pastor to put out the call for child sponsorship after the video has played. You can hold Compassion Sunday on any date, and use the Compassion Sunday pack any place where you can gather a group of people who would be interested in hearing about the work of Compassion. Is holding a Compassion Sunday event complicated? Nope! We’ll provide everything you need, including a suggested script for your presentation once you’ve registered your event.